21 Square, named because the city is approximately 21 square miles, is the latest addition to the Torrance food and beverage landscape. 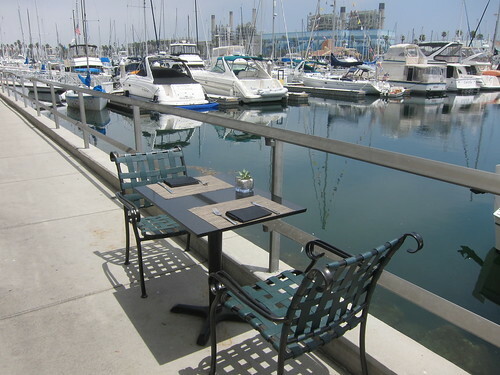 It is located inside the Torrance Marriott Redondo Beach. A lot of attention was placed on creating a cool coastal vibe. I liked the uniqueness of the interior decor - the walls featured the city of Torrance in a creative way. The venue extended outdoors with a beautiful fire pit and adjacent seating. The “21st Mule” is their version of the ever popular cocktail with Tito’s® vodka, ginger beer and fresh squeezed lime. 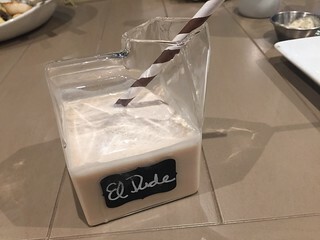 I enjoyed both the presentation and the taste of “El Dude”. This is their house-made creation of Fugu Horchata vodka and Kahlua. In addition to the their cocktails, they feature wine and ten beers on tap. 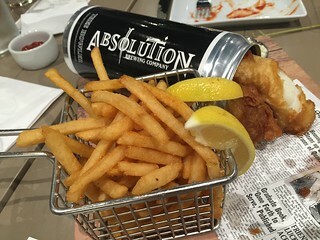 They’ve partnered with Absolution Brewing to create their own exclusive brew and that’s only available at 21 Square. It is a smooth ale and probably a great beginner’s entry into craft beer. In fact they make their delicious fish & chips using this very brew! The LYB (Loosen Your Belt) is a shareable dish consisting of tater tots, capicola, mortadella, salami, sausage, cheddar, mozzarella, chopped scallions and topped with a poached egg. It’s is the perfect item to share with a draft beer. 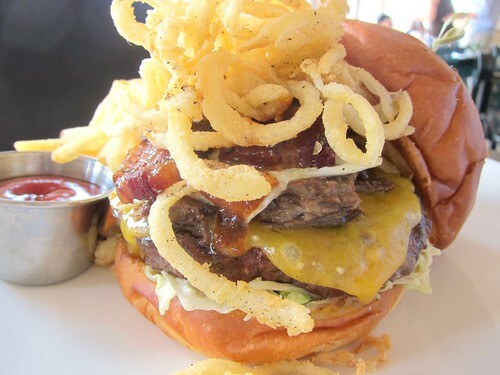 Doma Kitchen is a fairly new restaurant located in South Redondo Beach as it has been open less than one year. 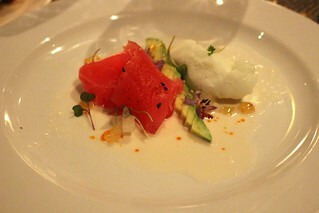 Recently I had the opportunity to experience their new spring menu. 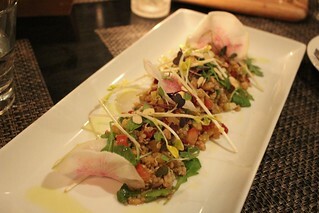 While I’ve dined at Doma Kitchen a number of times, it was primarily for breakfast. They've now extended their hours into the early evening and I was curious about their offerings. 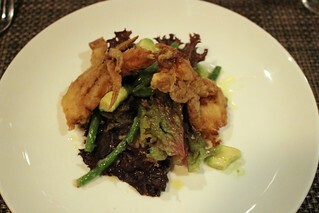 Doma Kitchen occupies a very small lot. In fact, the kitchen takes the entire space of the building. A beautifully stained wood fence surrounds the perimeter to create a patio-like setting. Dining is exclusively al fresco and Doma Kitchen has set up colorful tent canopies and heaters to keep diners comfortable during cool evenings. 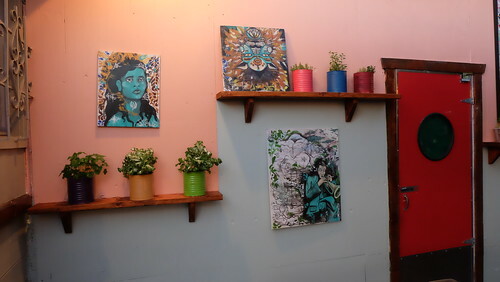 Colorful artwork from local artists adorn their walls. Co-owner Angie Corrente gave us an overview of the evening’s menu. She explained that she and co-owner Stan Mayzalis have traveled the world and as a result, they wanted Doma Kitchen to reflect their love for global cuisine. 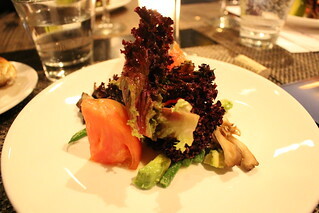 We were blown away to learn that we would experience breakfast, lunch and dinner in a matter of only 2 hours. Fortunately, the portion sizes were small, but that was still a lot of food to consume in one sitting. Our “breakfast” was served promptly and efficiently. 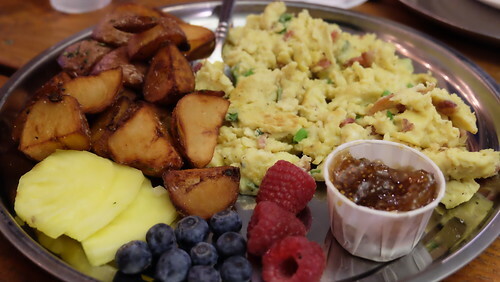 Doma Kitchen’s Pancetta Scramble with home fries arrived to our table first. Unlike some that use a pancetta that is more ‘ham-like’, Doma Kitchen uses a very good quality pancetta which is full of flavor. This combined with the scrambled eggs and scallions made for a tasty dish. The others at my table were definitely drawn to the sweet offerings. 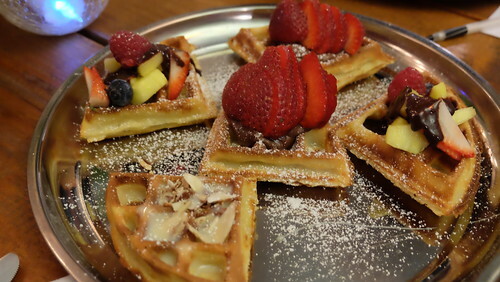 Fresh Belgian waffles were served with a homemade chocolate sauce and fresh fruit, nutella and bananas and vanilla creme. The waffle was ultra crispy and I was surprised that it wasn’t dense. Walking through the Redondo Beach Boardwalk, every whiff of air you take smells of the ocean. Yes, I meant "fishy" but I thought this might be a place of euphemism. You're right by the ocean surrounded by seafood restaurants, so it's no wonder it smells fishy. But ... you smell more ... could it be ...? Yep, there they are! 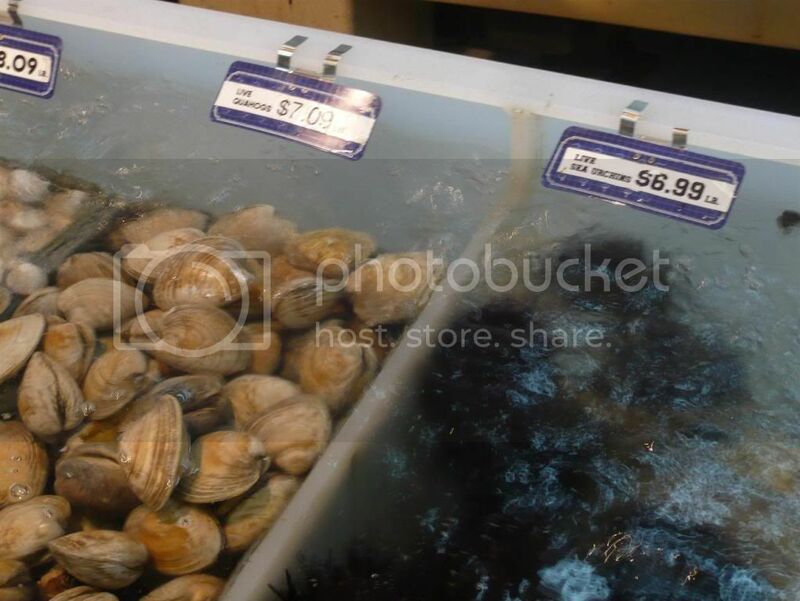 Live tanks of fish and shellfish at Quality Seafood. Quality is the place for cheap fresh fishy treats. Live uni. 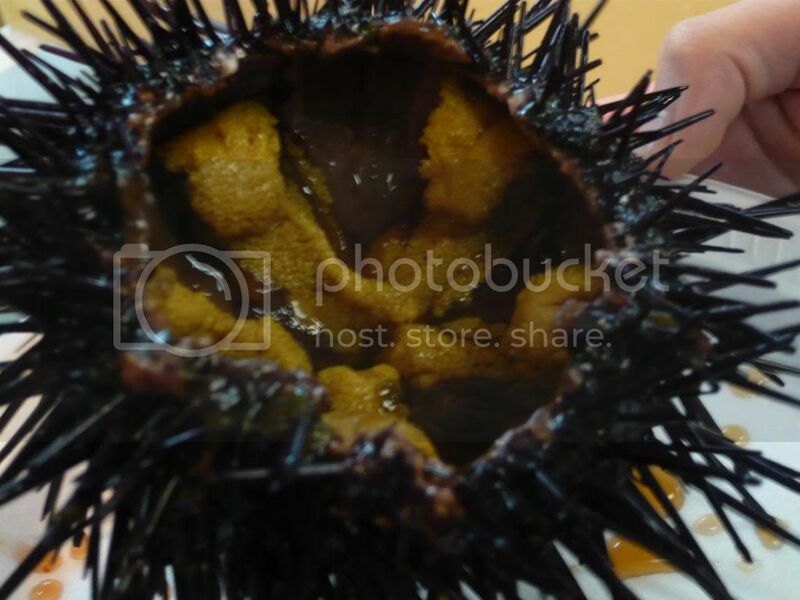 They opened it up and the spikes were still wriggling as the guy put the uni on the plate. One live uni served on a styrofoam plate, $5.60. Oh yeah. 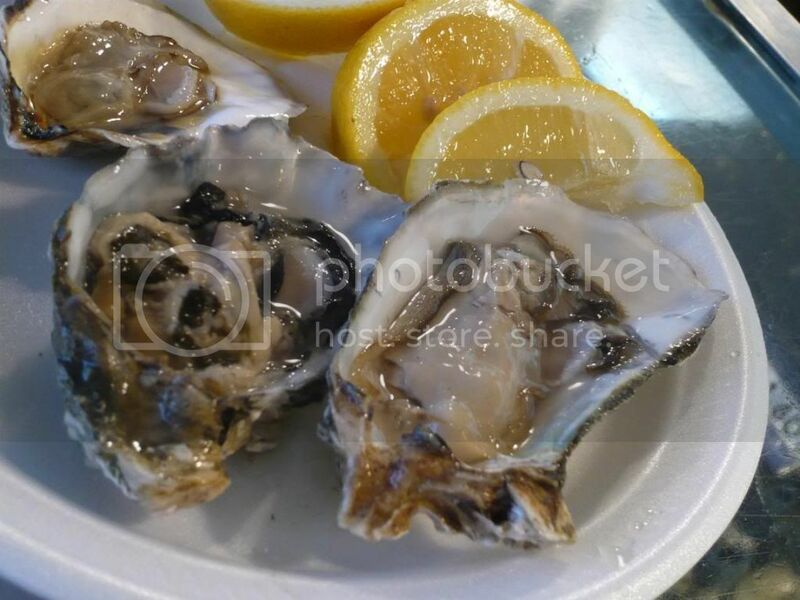 They also have a pretty big selection of fresh oysters, I remember about 10 types, ranging from $1.50-$1.90 each! I got three oysters, including two Kumamotos at $1.90. It's so fresh, all you need is a squeeze of lemon and slurp it!